The European Prize for Urban Public Space – a competition organized to recognize and encourage the recovery projects and defense of public space in European cities – is currently accepting entries for the 2014. The award, created in 2000, celebrates its eight edition in 2014. Works that have created, recovered or improved public space within the geographic limits of the Council of Europe in the years 2012 and 2013 are eligible for the Prize. 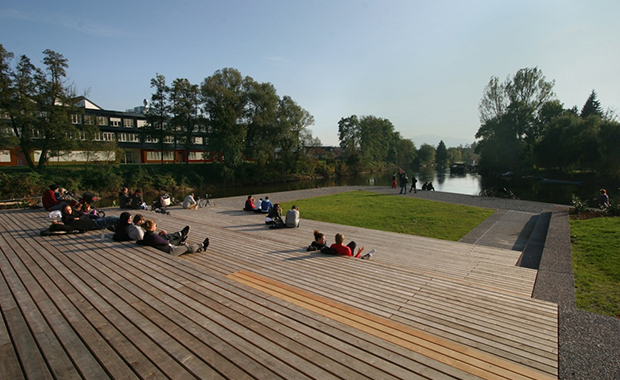 The prize-winning works, the finalists and a selection made by a Jury will be published in the European Archive of Urban Public Space, which brings together and makes available to the public the best projects that have been presented in the competition since its inception and will make part of traveling exhibition of the 2014 Prize. The prize-winners (of the Prize itself and Honourable Mentions) will receive a Diploma confirming the award. The criteria that will govern selection of the prize-winning projects from among those that are presented for the European Prize for Urban Public Space will not only be related with the quality of the work from a strictly architectural point of view.